Olive Tree Genealogy Blog: Where (and Why) Are Canadian Genealogists Hiding? I should make it very clear that I am not trying to start a turf war of "us against them" - Canadians against Americans! I am merely advocating that we Canadian Genealogists need to get our game faces on and get to a level playing field with (not against) our American friends and neighbours. I believe part of the problem is that we Canadians are just not very well known, even in our own country. We don't promote ourselves and we need to do that. It was also obvious that it was mostly Genealogy speakers who were finalists in the Rock Star Genealogist contest. There are many excellent speakers and it's terrific that they are being recognized but what about the bloggers and writers? I'd like to see all of those who contribute to Canadian genealogy recognized, not just those who speak at Conferences. It's time to stand up and be noticed if you are a Canadian genealogy blogger, speaker or author. Are Canadian Genealogy bloggers aware of, and using, Social Media to its full potential? Are they on Twitter, Instagram, Periscope, Facebook, Google+ and Instagram? How about YouTube - do they have their own YouTube Channel? Do they have a mailing list or newsletter? Do others in the genealogy community instantly recognize their name, their logo, or their slogan? Branding is the same as advertising. If you want to be known you have to advertise yourself. But that does not mean you have to spam Facebook groups or mailing lists with your posts! Be discreet. We need to promote others. Co-operate with the rest of the Genealogy Community. It's much like the adage "win friends and influence people". We bloggers should not ignore our fellow bloggers - we need to promote others as well as ourselves. One of the things I did recently to promote other Genealogy bloggers was to invite several from different countries to respond to 10 Interview Questions I devised. I was happy to feature them with a photo on my blog. Any opportunity to be featured on another blogger's blog or in a newsletter or any other advertising media is a golden opportunity and should be jumped at. But interestingly enough of the dozen genealogists I reached out to, one was not interested in participating, one never replied to my initial email, two never sent me their Interview Responses after expressing interest, and one told me I would have to remind them periodically as they were "busy" and would "probably forget". Wow. How rude is that response? First it implies that I am not busy and have all the time in the world to act as their (unpaid) personal assistant. Secondly it implies that they consider themselves far more important than me. Third they blew any chance of me ever offering to promote them again. I suspect they will lose many opportunities if they treat all offers of exposure and promotion as they did mine. And no, I did not remind this person. If you want to see which genealogists were featured, you can read their biographies here. I confess that I almost certainly am unaware of all of the great Canadian genealogy talent that is out there. In fact when I discussed this with my friend Gail Dever, she gave me names of a few Canadian genealogists I had never heard of. So here is my list of Canadian Genealogy personalities - and please, if I missed you, leave a comment or write to me and I'll add your name and website or blog. I'm sure there must be more. We live in the second largest country in the world. Why can I only come up with 19 names, one of them my own! Fellow Genealogists - here's a chance for you to promote a Canadian Genealogy Speaker, Blogger or Writer - who are they? Where are they hiding? Please provide their names and a link to their website or blog in the comment section below. Let's all get to know our Canadian Genealogists. I'm going to add one "rule" regarding bloggers - I only want names of those who are actively blogging and who post fairly regularly. So please - only add a blogger who has posted within the last 2 weeks. Fellow Genealogy Bloggers - here is my challenge to you. Promote one Canadian Genealogist on your blog, website, on a Facebook group, or in a Tweet next week. It's not always about self- promotion, it's about co-operation and promoting others too. I am kicking myself for missing Sher Leetooze's two presentations at BIFHSGO's conference in September 2015. My friends said her presentations about Scottish research and finding photos were terrific. Sher delivers lectures internationally and is a regular presenter at OGS conferences, as well as at individual genealogical societies and historical societies across Ontario. Sher is also an author of both history books (local and international subjects) and genealogy source books. Her latest book, "WW1 Nursing Sisters of Old Durham County," was published in 2014 to help commemorate the centennial of the beginning of WWI. Mike Quackenbush is a young, Canadian genealogist specializing in English research. Mike is part of the Next Generation of Canadian genealogists. Good initiative Lorine. Here,for the record and in alphabetical order, at the Canadians nominated in this year's Rockstar Genealogist poll. Hi Lorine, your list includes seven of the thirty-plus members of the Ontario Chapter, Association of Professional Genealogists (I believe it is the only APG chapter in Canada): www.ocapg.org. So there is a good example of writers, speakers, and educators who are known to each other and their local societies, some much further afield. You will see quite a variety of specialties. Our common ground and goals are striving for research excellence and continuing self-education. I commend all of them! We have some family historians out West. Brenda L. Smith writes for the Maple Ridge Historical Society Family History Newsletter, and leads the Hammond Family History Project. She presents research methodology programs for libraries, museums and archives, family history societies and other interested groups and for the Cloverdale Genealogy Collection of Surrey Libraries, Brenda developed and teaches two workshop series that are taught regularly at the Cloverdale Library. Annette Fulford specializes in WWI War bride research but also researches in Hungary, Canada, England. She can be found at Canadian War Brides. Jamie Brown, Librarian at Cloverdale Library. Assists patrons with the collection and gives talks at family history events. There are 2 people rarely mentioned that are always willing to help others in their genealogy research: One is Jacques Gagné, writes for Genealogy Ensemble and freely helps those researching in Quebec. The other quiet genealogist is Michael O'Leary who is the go-to guy for anything about Canadians in the First World War. His website is http://regimentalrogue.com/ and he is also on twitter and facebook. I haven't heard of most of the people on your list despite being involved with the Genealogical Association of Nova Scotia for the last 8 or 9 years, being online every day - Facebook and Email. 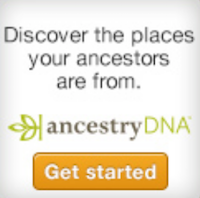 If any of them do webinars, they might want to at least send the information to genealogy societies. We can't hire them if we don't know they have wares to sell. And, maybe, since we don't have a national genealogy society in Canada, one or more of them could start a speakers' bureau website so society programme conveners can see what's available when they are trying to fill the annual schedule. Also, if they do webinars, a short freebie recorded webinar on their site would allow people to sample before they buy. Lynn Palermo has a superb blog site www.thearmchairgenealogist.com which focuses on writing family history. She has written articles for several genealogy magazines, including Internet Genealogy, Family Chronicle and Discovering Family History as well as serving as a board director with Norfolk Historical Society. She frequently presents at conferences. Unfortunately my list of Rockstar Genealogist nominees inadvertently omitted Lesley Anderson. 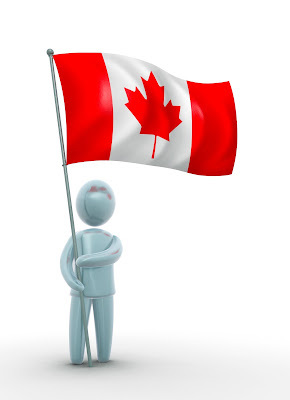 Lorine, in addition to the reasons you submitted for your excellent initiative, I'd like to add another: those of us who are not Canadian, but are researching Canadian roots would also like to know of more Canadian genealogists--especially bloggers! I am not sure why you are acting in the manner you are. It is really beneath you and the legacy you have brought forth to this point in your multi faceted careers. This blog along with you avocation of Legacy Tree and the fact you promote them as being the highest rated Genealogy Research Company in the world is truly astounding. There is no proof of this as it is obviously shown your head got caught in some of your Canadian Tundra. Clearly you haven't been doing your homework or where to look for a homegrown Canadian Genealogist. You question shouldn't be the one you are asking but where are the Canadian Genealogists No matter where they were born or where they reside. You clearly don't need to be an American or should I say one who lives and is naturalized below the Canadian Southern border to be a great genealogist specializing in American or from the USA. You are by the nature of this blog post being insensitive and yes you are starting a turf war. Lorine take your head out of the sand and celebrate great Genealogy no matter where it comes from. I am an American and do not self promote like you want your Canadian from Canada Genealogists to do. happiness I bring to the families I do research for. Try doing more research the next time you speak out like this you clearly did not do your homework. Pat Ryan from Saskatchewan, Canada is incredible! I just finished taking a set of classes from her, and I can't say enough about her classes and how knowledgeable she is regarding Saskatchewan history and homesteading, just to mention one area of her expertise. She presents at many conferences and is always very generous at sharing her knowledge. Her blog is at http://patryangenealogy.blogspot.ca/. Have a look at her blog. DBS - I'm afraid you are the one who did not do your homework. I have NEVER made the statement that Legacy is the "highest rated Genealogy Research Company in the world" Please direct me to some evidence of my making this claim. Because you erred so grievously with that comment I am inclined to not take the rest of your comments very seriously. Having an opposing opinion is always okay. I am happy to discuss or clarify a point at any time. But an opinion not based on facts is worthless and I won't respond to it. Please don't take DBS as American sentiment about your column, etc. Your list is specialized and we recognize that and are deeply grateful for it. My roots go back to Canada, and further. Any help I can get any place is taken with deep gratitude for all the work it takes to compile a list of this sort. American searchers, whether professional, semi-pros, family historians, and even those of us who "dabble", are sending our thanks for your attempting such a great feat. And especially for all you have accomplished. Your list will go a long ways and save many steps and effort for us Americans. We're one continent, many people. Hopefully, united in our ressearching quest. THANK YOU! Thanks to everyone who has left names of Canadian Genealogists for me to add to my original list. Stay tuned for a revised list, probably next week! I love my American friends and colleagues and have no idea why DBS thinks it's a war. You said it beautifully - it's all about being united and anyone who thinks the Genealogy community world-wide is not a giving, sharing and co-operative group of like-minded people is just wrong. I'm pretty sure DBS missed the whole point of what I wrote. I'm a newer Canadian Genealogist- recently completed my PLCGS and started taking clients just this year. I am currently studying in the ProGen26 program. I'm certainly not ready to be on a RockStar list, but appreciate the opportunity to stand up & be counted. Even though Canada is the second largest country in the world, you might notice American genealogists more often because U.S. has almost ten times more people than Canada and many Canadian genealogists live in more rural areas where their accomplishments might not get the attention or recognition they deserve. etis community's history in Southampton, Ontario from the early 1800's, and its contributions to Ontario's development. The community is named after the Saugeen River that flows through the town and empties into Lake Huron. Families in this community lived along Lake Huron and were fur traders, mariners, boat builders, fishers, goods traders, farmers, loggers and barrel makers. Mrs. McArthur has presented the genealogy of the fifty families in extensive detail. She was the first registrar of metis people in Ontario, and has testified before Parliament regarding metis concerns. I'm a French-Canadian from Montreal and I maintain a blog in both French and English on my family name : Hubou dit Tourville. Thanks for the list, Lorine. Some of these people I knew as Canadians but I thought some were from the US. There are also new names on the list. With our small populations we in Canada and Australia we need to promote our people so their contributions to the geneaworld don't get lost in a geneasphere dominated by nations with much larger populations. Lorine, thanks so much for giving us the opportunity to showcase Canadian talent in the field of genealogy. I know you wanted "other than speakers" but I wanted to highlight two women. One is an author, one a researcher, both are speakers. They work tirelessly to assist the descendants of British Home Children to better understand their BHC ancestor. Christine, I wanted anyone who is a Canadian speaker,author or blogger or who has a website devoted to helping other genealogists find their ancestors. I only mentioned that during the Rock Star Contest it seemed one had to be a speaker in order to be noticed by the general public. I'd like to see all of us noticed more. Jill Ball summed it up very nicely - "With our small populations we in Canada and Australia we need to promote our people so their contributions to the geneaworld don't get lost in a geneasphere dominated by nations with much larger populations." Jill you said it beautifully "With our small populations we in Canada and Australia we need to promote our people so their contributions to the geneaworld don't get lost in a geneasphere dominated by nations with much larger populations." What about Stephen A White, the "god" of Acadian Genealogy!! Linda, does Stephan A White have a website or blog? Sadly I've never heard of him and I'm sure many of my readers will be as unfamiliar as I am with his name so we need somewhere we can go to read about him. Lorine, http://stephenwhite.acadian-home.org/. He is well known on the eastern seaboard in both countries. Well, shoot, Lorine, all the Americans know why the Canadians are "missing"! You're all too darn polite to promote yourselves! Sorry, couldn't resist the stereotype - but I have found Canadians to generally be very polite and affable people. Maybe they aren't as comfortable stepping forward from a lineup like the brash Americans. Hopefully your post will spur them forward. I am sure they have much knowledge and expertise to share. Kay you made me chuckle! But you actually hit the nail on the head. In general we Canadians are raised to never make a fuss in public and never step up and shout about how good we are at something. In fact we are taught to downplay our successes. There is nothing wrong though with some self-promotion and I hope that we Canadians can overcome our natures to just step up a wee bit and be noticed. I would like to add - Sandra Goodwin for her wonderful podcasts on Canadian Genealogy on Maple Stars and Stripes. Lorine, Stephen White works through the University of Moncton. His books "Dictionnaire Genealogique des Familles Acadiennes" are THE go to books for Acadian research. He is quite generous with his time and knowledge as well. I'm not sure if he's Canadian, but he deserves a shout out regardless for his work In Acadian genealogy. I enjoy any presentation that Rick Roberts of Global Genealogy, I know commercial, does. His workshops provide background and solid suggestions for research in down to earth, easily understood terms. Does Jacques have a website? Jacques Gagné does not have a website, but he posts his compilations on the Genealogy Ensemble blog - http://genealogyensemble.com/ Some of his compilations are also posted in the members only section on the Quebec Family History Society website. I'd like to add Darryl Bonk, curator of Waterloo Region Generations (http://generations.regionofwaterloo.ca/) and its related blog (http://darrylbonk.wordpress.com) as a great Canadian genealogist. Darryl is a great heritage advocate and generously gives his time to other family researchers and local historians in Waterloo Region. Thanks, Lorine, for adding my name to the list. I guess I’m one who likes to poke along at my own pace with genealogy. I don’t make a lot of noise because I’m happy with what I’m doing. I don’t enjoy public speaking, so you won’t hear me speak anywhere. I love researching and following a trail, and I like sharing the journey through my writing. My genealogy column just celebrated its tenth year, so I guess others like to read about those journeys. I’ve written about many individuals over the years, and like you, I like shining the spotlight on fellow Canadian genealogists. The way I see it is, if I’m doing research on my mother’s family who comes from a small community in Newfoundland, I’d look for a genealogist who lives in that province or is from there. It’s highly likely they’re going to know more about the subject than someone who lives in California. This post has inspired me to shine the spotlight more often on the bloggers, authors and speakers noted here.